This is it. You’re at the breaking point. Your workers’ compensation benefits have been unfairly denied and your employer and their insurance adjuster are refusing to negotiate with you. You’re ready to get the benefits you deserve. You’re ready to take legal action. At this point, I find the first questions many clients have are “Am I suing my employer? The insurance company? Both?” When it comes to a workman’s compensation case, you are technically suing both your employer and the insurance company. However, the insurance company is the “paying” party. This is because your employer’s responsibility lies in paying the workers’ comp premiums to cover their employees in the first place. When you are injured at work, your employer’s workman’s compensation insurance covers your medical expenses and time missed from work. They also make the call on whether or not they can compensate you. That’s why Oxner + Permar deals directly with the insurance company — not your employer. We work with you to make sure that you are getting the benefits and the settlement that you deserve. You are entitled to a settlement at the end of your treatment, and that treatment will be paid for by the insurance company with the consent of your employer. 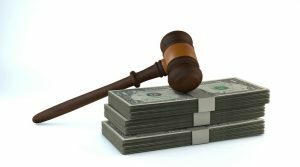 When you take legal action in a workers’ comp case, your insurance company will be the paying party. Make sure you understand what you’re up against: Have an experienced attorney on your side who will ensure that your rights are being protected.